Gorgeous color and tone and fantastic composition! L/F! 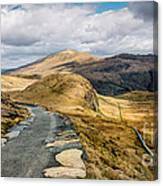 The Popular Miners Track leading up to Mount Snowdon, was built to serve the Britannia Copper Mine. 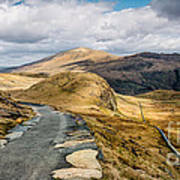 Snowdonia National Park, north Wales UK. 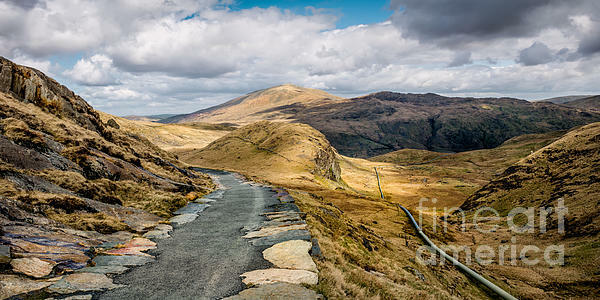 The pipeline you can see leading down the valley supplies water from Llyn Llydaw to Cwm Dyli hydro-electric power station in the Gwynant valley. 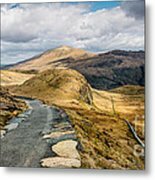 The power station, which is the oldest power station in Britain, was originally built to supply electricity for an electric railway through the Gwynant Valley. The railway would connect slate quarries and mines, but scheme was abandoned when it ran out of funds. The power station was commissioned a year later in 1906, and has been supplying electricity to the National Grid ever since.